Ultra-hydrating and deluxe, our signature must-have face oil is packed with skin nourishing antioxidants and vitamins to revitalize and strengthen your skin while restoring its youthful glow. A concentrated multi-action elixir, our Classic Face Oil is infused with a powerful complex of precious plant and flower extracts to deeply nourish and hydrate the skin leaving a luminous, vibrant complexion. Restorative and healing, the cocktail of argan, rosehip, jojoba, sea buckthorn and tamanu, visibly diminishes fine lines and wrinkles, enhances skin elasticity, tone, and texture, and calms inflammation. Awaken your senses with the smooth, silky texture and subtle floral bouquet of rose, neroli, geranium, sandalwood, and bergamot. This gorgeous face oil has become a cult favorite for a reason. Recommended for all skin types including dry, sensitive, and combination skin. Excellent for calming and soothing rosacea, psoriasis, eczema, and dermatitis. Suggested Usage: Shake gently before each use. Lightly massage 4-6 drops onto cleansed, slightly damp face, neck, and décolletage. For best results, use morning and night. Beauty Tip: Add 1-2 drops of oil to your foundation for an instant glow. Precautions: For external use only. Avoid direct contact with eyes. Store in a cool, dry place and out of direct sunlight. I don’t normally write reviews but I felt this product deserved one. This face oil has made my face literally come alive…my skin looks vital & healthy after just 1 week of usage. Absorbs nicely & leaves a subtle glow. It is quite simply an excellent product. Thank you Jennifer Joan. This face oil is magic in a bottle! I have been using The Classic for the past 2 years and I will never go back to my old products. It is light enough to wear in hot humid climates without making me break out, and heavy duty enough to use in the dry cold winters of Calgary Canada. I can not say enough good thing about this oil and I am constantly recommending it to everyone I know. I am rarely this pleased or loyal to a skin product. This is the real deal! After 37 years I finally found the right product for my face and to use for all seasons in Canada. I have been using the classic face oil for over a year now and my skin has never looked or felt better. I recently took it to Mexico with me. It kept my skin soft and prevented it from drying out after days in the sun. This is must have skin product created by a talented individual. This is my favourite product!! I’m in love with it. My skin used to be dry and flaky but now my skin glows. This product is perfect. I use it only at night and my skin feels great every morning. I love that it’s all natural ingredients and my skin has never felt better. I ran out of Classic face oil about a week ago and due primarily to laziness, I substituted a sample of some Estee Lauder serum that I had laying around the house and I can absolutely say that my face misses JJ! I can’t wait to get my shipment in so I can treat my skin the way it deserves. Thanks Jennifer Joan. I have always had super sensitive skin but a year ago my skin flared up with eczema and nothing would help. It hurt like crazy, and was itchy and flaky. My lips were super puffy. I have been using the Jennifer Joan Classic oil for one full year now and I love the results. My skin has never looked or felt better! I have had numerous people comment telling me my skin glows and that is hard to achieve here in the desert where I live. I attribute it entirely to the Classic oil. It’s all I use. So happy I found this safe and effective product that feels and smells divine. I have finally found something that works! I’ve spent most of my life struggling with problem skin on my face, neck, and chest – including acne, blackheads, cystic acne, and (worst of all) bad hormonal breakouts. I’ve tried every solution, the cheap ones, the expensive ones, prescription astringents, proactiv, changing my diet, etc. etc. and nothing has ever left me with clearer, healthier, more beautiful skin than this oil! I use the classic in the morning after cleansing with cetaphil, and the classic mixed with the imperfect at night after using a simple micellar cleansing cloth. It was totally counter-intuitive to put oil on my already super oily combination skin, but I’m so glad I did! I’ve got my face back, and I’ve got my time back (no more 20 minute cleansing/toning/makeup routine). I love, love, love the oils I have purchased from Jennifer Joan. My skin is so much happier since using the Classic Oil. My skin is staying hydrated, clear and now has a glow. I’m so impressed with this product! Thank you Jennifer Joan for creating such beautiful oils!! I came across this oil at the highland festival in Calgary, which is an extremely dry place. This oil makes my skin feel like silk, it hydrates sufficiently, and smells amazing. I use it at night and wake up with moisturized, glowing skin. Another reason I love this product is because I truly believe in natural ingredients and am 100% against animal testing. Great face oil! I have been using the Classic face oil for a year and my skin has never looked better. It keeps my face hydrated in the cold dry Alberta climate. I have replaced all my expensive moisturizers with the Classic Face Oil. My skin is clear, has less discolorations and redness, and is more radiant. I love this product. I have officially replaced all my old moisturizers with this amazing face oil! I’ve been using the classic blend for six months now both in the morning and at night. Its completely eliminated my eczema and keeps my skin hydrated in the dry Calgary climate. I love that its %100 natural – my skin has never felt or looked better! I use this oil at night and can already see and feel a difference when I wake up in the morning. The tone and texture of my skin is amazing, even, smooth and is no longer dry and flaky from our Calgary winters. I’ve been using it consistently for over a year and I’m hooked. It’s part of my daily routine. LOVE this stuff! This product is amazing!!! I have dry skin in the winter and have always had an issue with flaking on my face. I used to hate applying my powder because the flaking would be even more noticeable. I use the classic every night and no more dry skin and the flaking is gone! I had previously tried a lot of very expensive lotions and this oil is the only thing that has worked and gives my skin the moisture it desperately needs. I have very sensitive skin and have had no breakouts using it. Results were immediate and I have been using it for over a year. 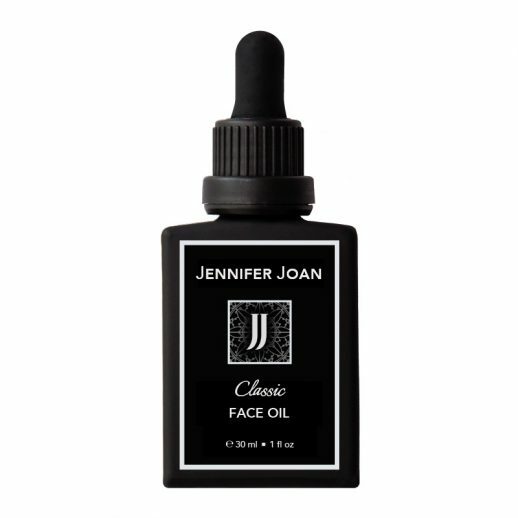 Classic face oil only for this girl! I have my friends and family hooked! I also like the price…you can buy face oil at Sephora but you’re paying over double. I love supporting local and you always get a deal when doing so!